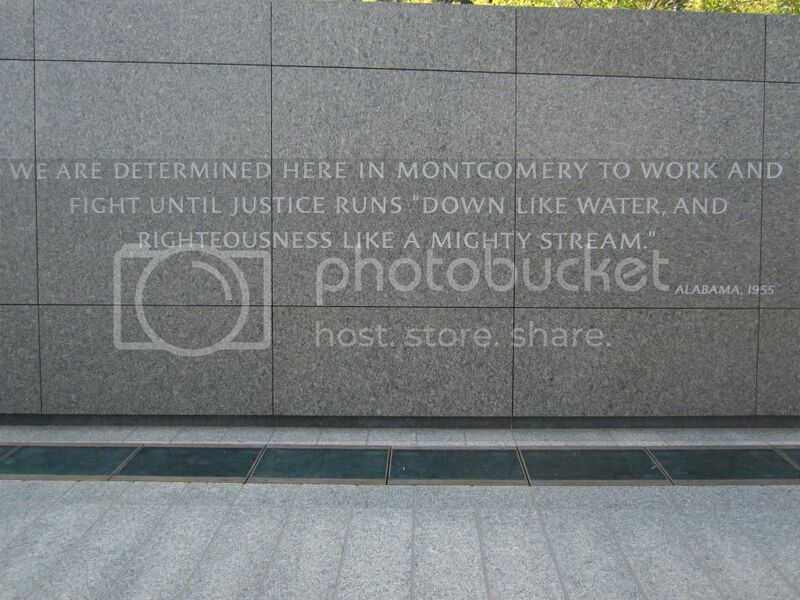 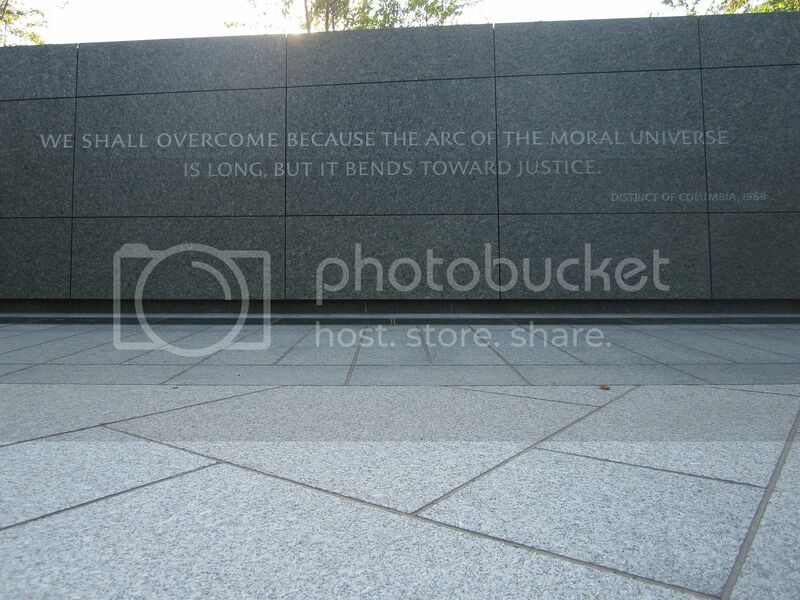 "Dr. MARTIN Luther King Jr.", "Memorial Day", "civil rights"
When we think of the civil right struggle, amongst many champions, Dr. Martin Luther King, Jr., comes as one of the greatest iconic figures who has paved the way for many people like me to flourish in a society with so much inequality and injustice. 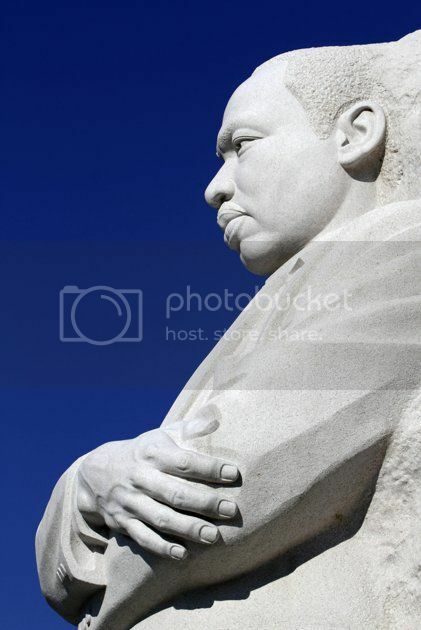 Dr. King has been nothing but a relentless champion in the advancement of civil rights in the United States and around the world using nonviolent methods to teach his vision that the world can in fact be an anti-racist society by ending racial segregation and racial discrimination. 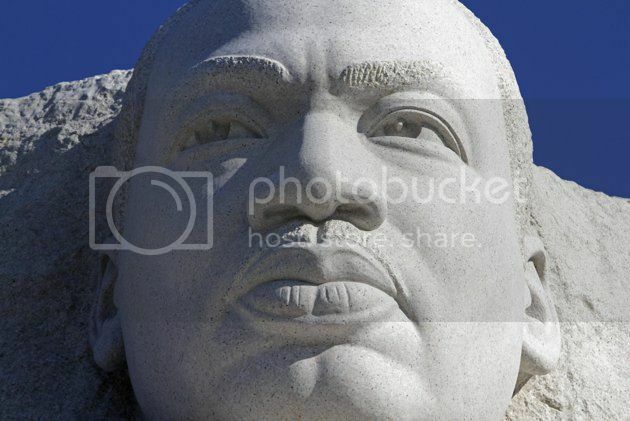 While so much still remains to fulfill the dream Dr. King envisioned, a formal dedication memorial is scheduled to take place this Sunday, August 28, 2011, on the 48th anniversary of the March on Washington when Dr. King delivered his "I Have a Dream" speech. 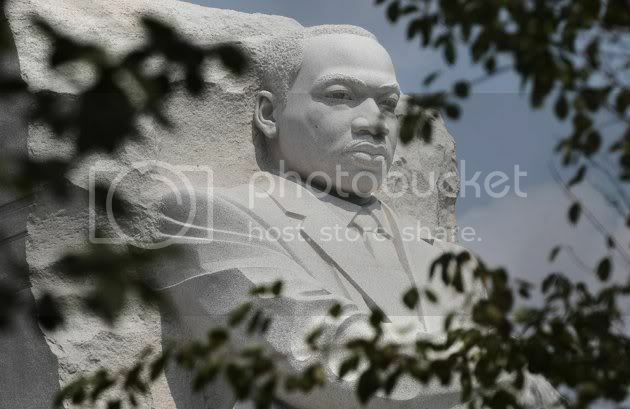 This $120 million monument, a 30-foot stone sculpture that depicts Dr. King greatness and a curved granite walls inscribed with 14 inspirational quotes from his speeches will officially be unveiled on the National Mall to commemorate the work Dr. King and many other civil rights activists had done. 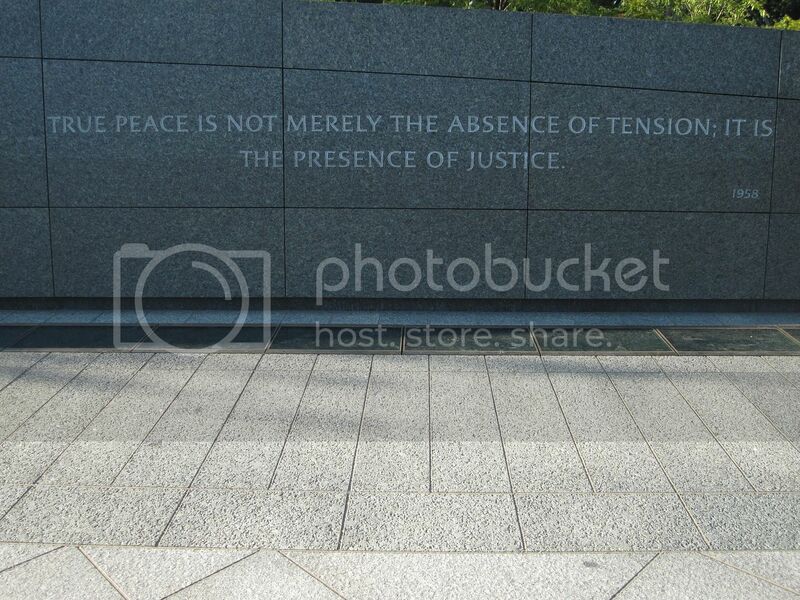 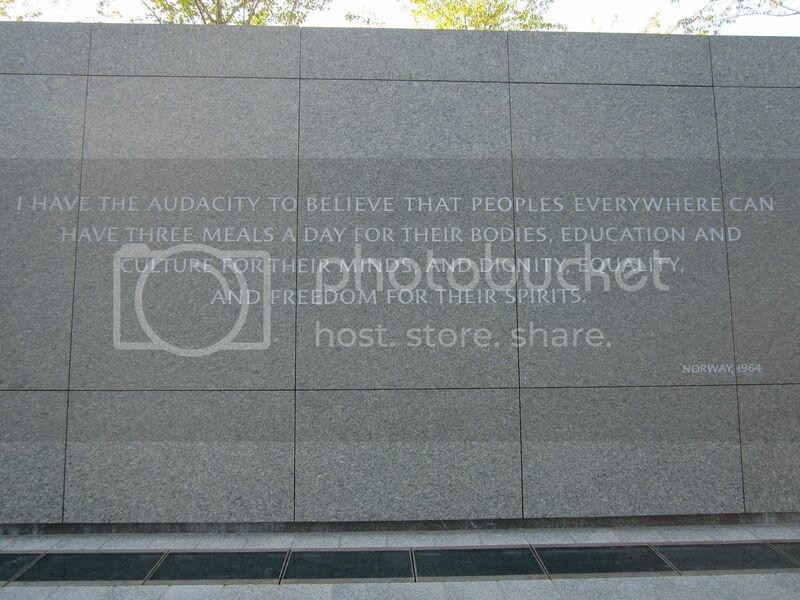 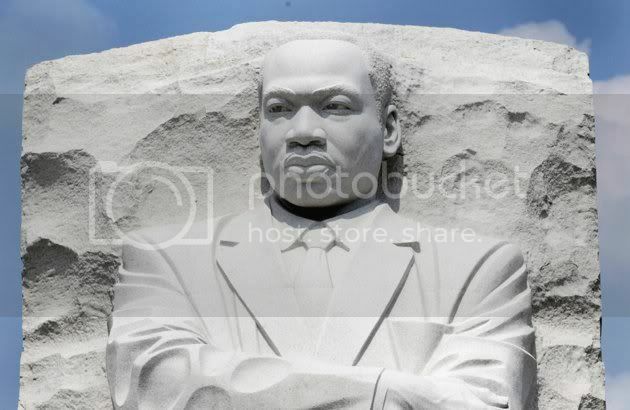 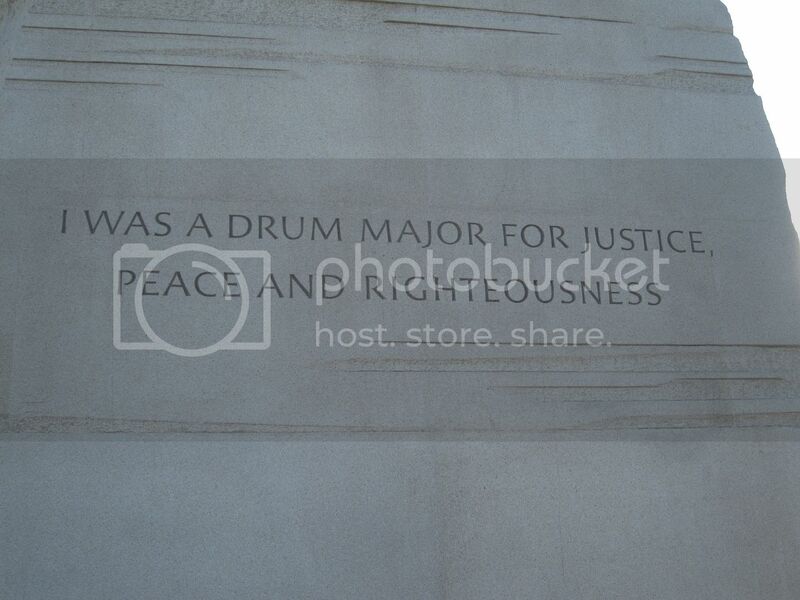 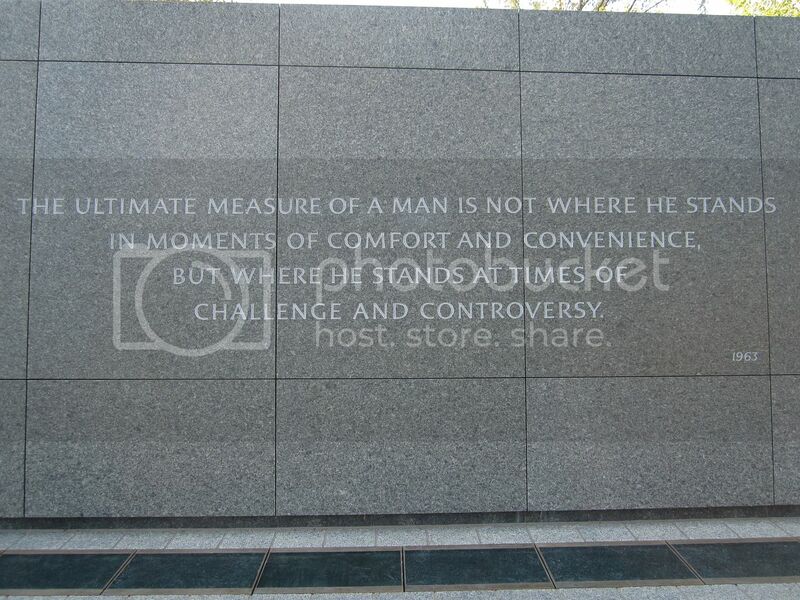 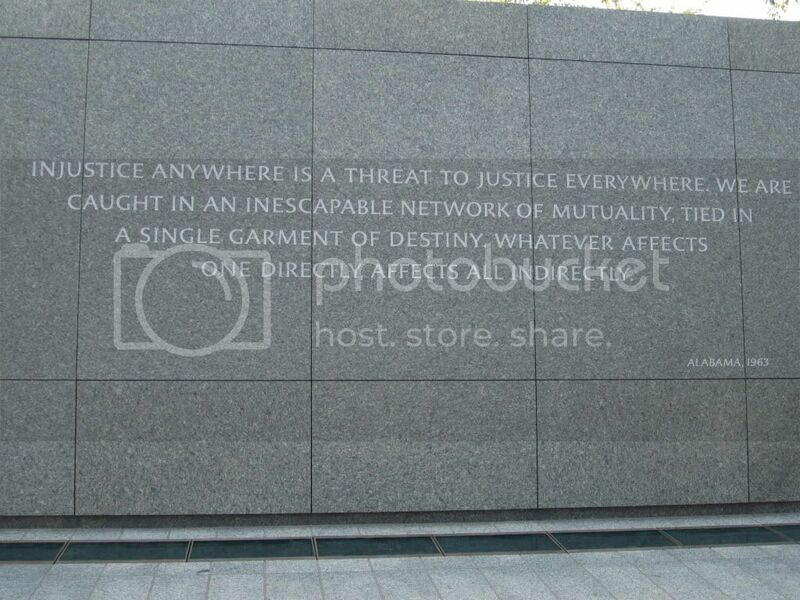 For many Americas and specially African Americans who have lived to see the struggle during slavery, Jim Crow and those of us who still witness today's systemic institutionalized racism, the acknowledgement of MLK's legacy on our National Mall is an emotional experience when looking back at the history of the United States. 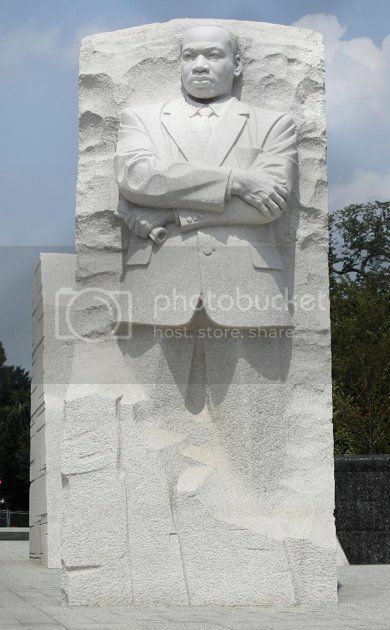 However, this memorial also recognizes years of relentless peaceful activism that highlights Dr. Kings' dream of reoccurring themes, a call for 'democracy, justice, hope, and love' for all. 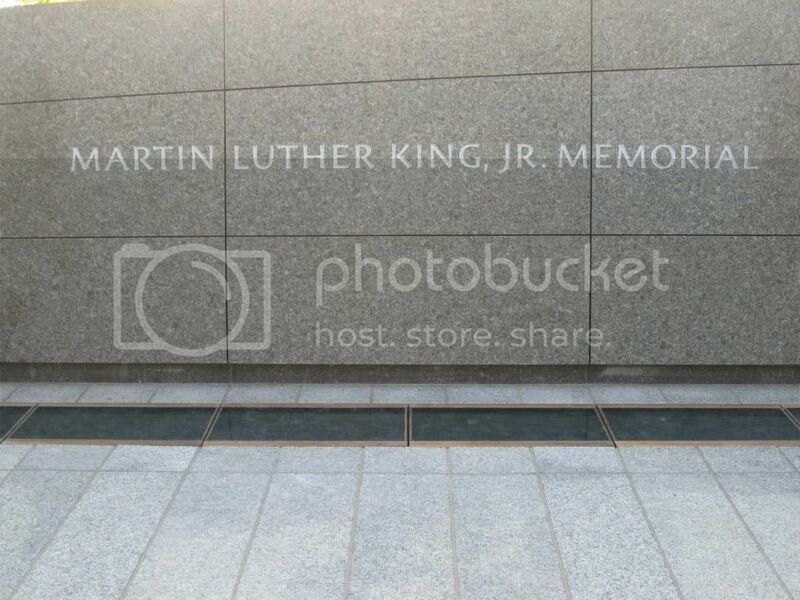 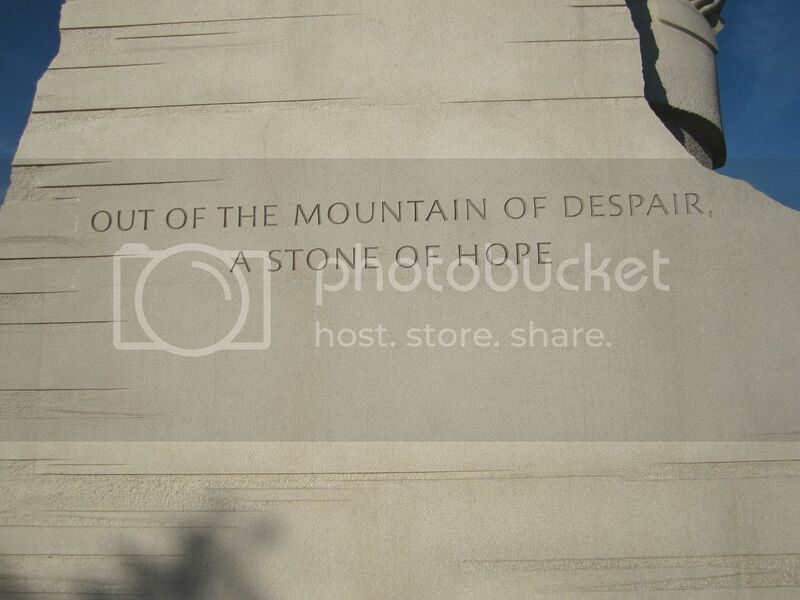 Moreover, the memorial will be seen as a legacy of many leaders who have paved the way for civil rights before Dr. King championed the struggle cementing the legacy of people who had fought the hard fights to guarantee civil rights for all. 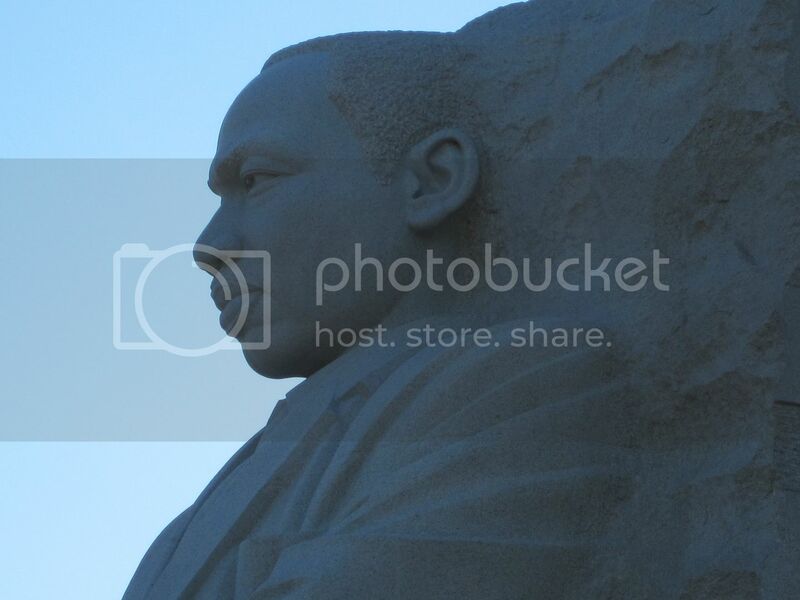 Information about the ceremony and how to get tickets is available in the Official MLK Memorial Website where you can find the Schedule of Events for this weekend's dedication ceremony. 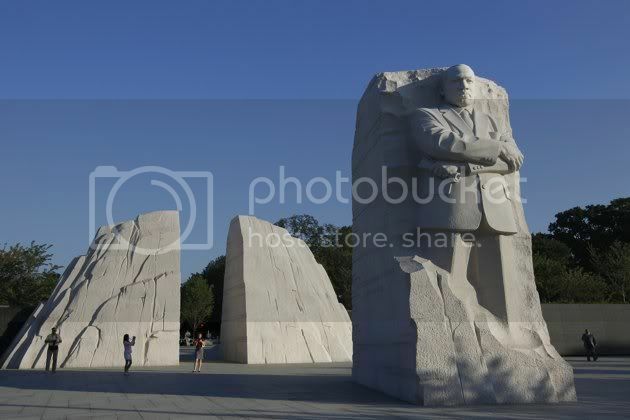 I was privileged to have an opportunity to see this magnificent memorial yesterday with my kids and it was indeed an experience. 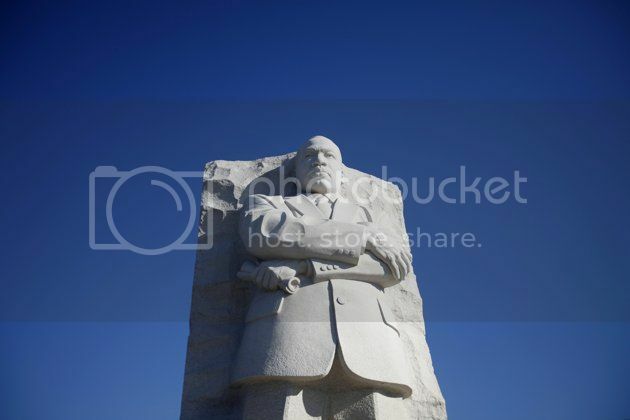 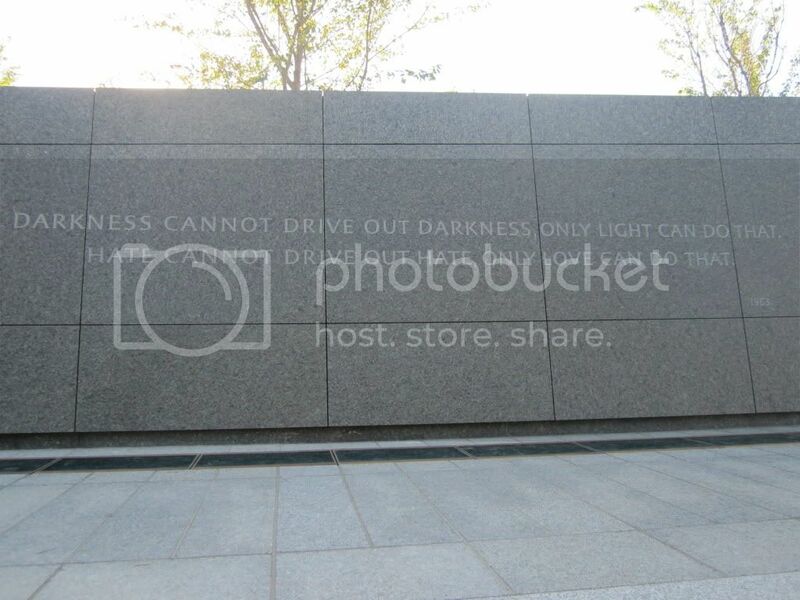 Enjoy a preview of this great memorial courteous of public domain pics and some pictures I personally took until you get a chance to see it in person.